Three esports luminaries explain the ins and outs of advertising in esports from back in the day to the LCS. Over the past five years, esports has progressed from being a niche gaming subculture to a growing cultural phenomenon. The industry is attracting millions of online viewers per month via livestreaming sites like Twitch and YouTube, according to marketing analytics site Esports Charts. Esports audiences are also flooding sports venues like Madison Square Garden and Key Arena. This isn’t a trend unique to the U.S.—in both Europe and China, the esports industry is becoming an increasingly attractive option for entertainment and gaming companies, like the Modern Times Group and China’s Tencent. A key development of esports in the past five years has been the entrance of non-endemic sponsors and advertisers. By 2020, esports is predicted to become a billion dollar industry, according to a SuperData research report published on Jan. 30—and advertising and sponsorships will reportedly account for roughly 60 percent of the industry’s overall revenue. Considering that games like League of Legends and Overwatch attract hundreds of thousands of viewers for regular tournament broadcasts, it seems logical that advertisers would be interested in the phenomenon. But there was a time where esports was less than attractive to any established business. In the early 2000s, neither esports teams nor tournaments were close to turning a profit, as was made evident by players being short-changed and organizations simply disappearing overnight. To advertisers at the time, putting down money to see kids play Counter-Strike against each other was beyond the pale. On top of that, there was no effective way of measuring either user engagement, interest, or viewer numbers—which gave them little to no way to know if their campaigns or sponsorships garnered any kind of interest. With no way of attracting notable non-endemic sponsors, esports was primarily a grassroots effort throughout the first decade of the 2000s. Almost 20 years later, however, names like the Houston Rockets and the Golden State Warriors have become deeply invested in the esports market. 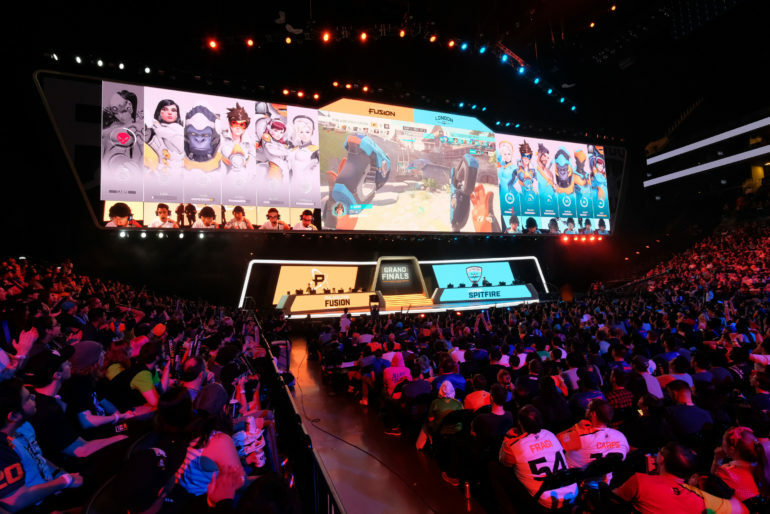 These companies and investment groups are also bringing with them talent and sales teams from traditional advertising agencies, who for the first time are able to chart and measure the esports audience thanks to social media platforms like Twitch. In just a few short years, it’s become clear to outside actors that there are serious benefits in investing and engaging with the esports fanbase. Since the esports audience tends to skew fairly young, however, advertisers are now having to adapt their approach to cater to them, which provides its own set of challenges. To find out how advertisers navigate through the world of esports, we spoke to three distinct and accomplished voices in the industry. Jason Lake saw the potential in esports more than 15 years ago. Photo via Fragbite. Jason Lake will soon be a 20-year veteran of the esports industry. Lake has seen esports grow from past-time to primetime, and in 2017, his team compLexity Gaming was acquired by Jerry Jones, owner of the Dallas Cowboys. How did brands react to sponsorship or advertising requests from esports teams 10+ years ago? Lake: In the early days, endemic peripheral companies were generally happy to offer some free product, but securing any real financial support was incredibly challenging as they didn’t have large marketing budgets. Non-endemic companies were very difficult to speak with as the word “esports” wasn’t even part of the common vernacular. The thought of competitive video gaming made some advertisers laugh and others roll their eyes. It was hard going in the early days. Were there any restrictions in regards to which brands esports teams could approach in the early-to-mid 2000s? 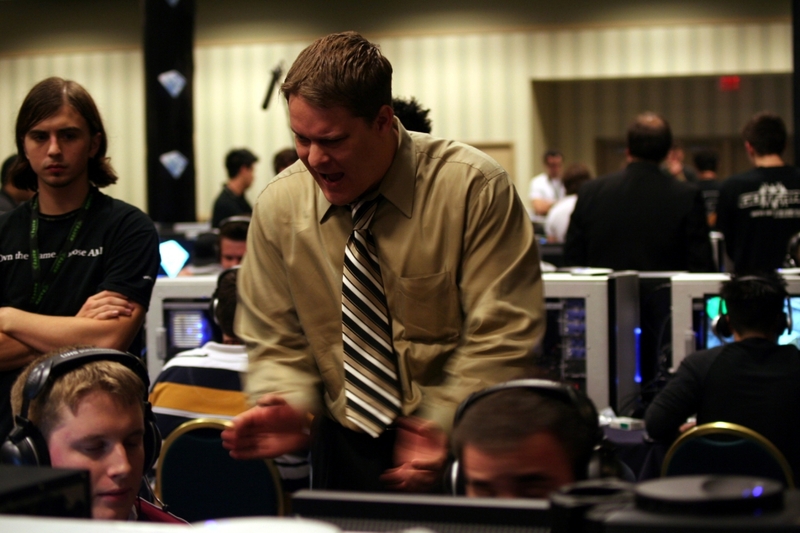 The early days of esports were very much the wild west. Some organizers had basic rules about such things, but for the most part, it was wide open. Were the teams and organizations involved in esports during that time frame able to provide any efficient metrics or ROI to brands or companies that chose to sponsor them? Also, how has this changed in the past five years? In the days before Twitch, Twitter, Facebook and YouTube, it was very difficult to show proper metrics and reach. Even our largest events often offered few statistics. I remember when CPL 2004 broke 30,000 simultaneous viewers and everyone was thrilled. However, beyond solo metrics like event viewership, teams could only rely on website traffic and IRC users. It was challenging to say the least. Are there some sponsors that are still considered ineligible with esports, in your opinion? I think traditional sports have generally paved the path of sponsorships. To maintain a professional industry that is taken seriously by the public and blue chip sponsors it behooves our space to be wise and selective in what we endorse. What are brands that want to get involved with esports today asking differently from the very first that got involved in the early 2000s? 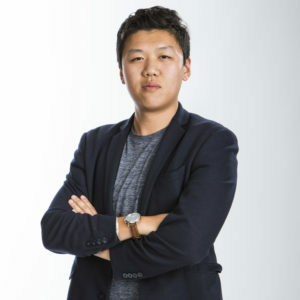 Having followed esports through his time at university, Sebastian Park spent time as CEO of North American esports organization Team Archon. He now works with the Houston Rockets’ esports initiative, Clutch Gaming. With Clutch Gaming being co-owned by the Houston Rockets, do you feel the team operates differently to other, older esports teams when it comes to attracting sponsors and advertisers? Park: It’s hard to accurately comment on the sales processes of other teams. Having had the good fortune of seeing esports evolve over the past few years, I can say anecdotally that sales and sponsorship processes have improved dramatically for all organizations. The biggest difference for us is not an endemic/non-endemic difference, but rather because we’re an integrated part of the Houston Rockets, we have larger access to the traditional sports knowledge within the organization about different brands and historical information on the different partnership tests we’ve run before. Traditional sports teams are obviously very in-tune when it comes to monetizing their audiences. Is this something that esports teams operated by these already-established franchises are looking into, and what are the potential roadblocks? While not all traditional sports teams have great monetization, we’re fortunate to be with the Houston Rockets & Tilman Fertitta. Both have great track records in this regard. Historically, a big roadblock to esports organizations monetizing long-term was the uncertainty of the organization lasting into the future. As we have esports franchises that have joined continuous leagues like OWL and the NA LCS, that narrative has begun to shift. The entire industry is also still trying to best figure out the best way to activate on top of a new generation of consumers (literally this next generation aging into adulthood). Some things that we’ve done have been hits and some have been misses. Part of our iterative process is to better understand our fans and we’ve made a lot of headway over the past two years. Hopefully we can continue forward with this approach and see long-term payoffs. Building on that last question, how does an organization like Clutch Gaming view up-and-coming esports titles and how does it decide whether to create a division in a game? We’ve been focused on making Clutch Gaming’s place in League a success. This is entirely intentional as there are a lot of cross-pollination advantages for being in multiple games, but there are also a lot of negatives from splitting focus and diversifying one’s portfolio too quickly. A lot of my time is spent examining new esports titles, and as soon as we feel comfortable that our structure and operations in League of Legends is in a great and sustainable place, we’ll make some moves in some of the games we see a lot of potential in. Do you have any other insights or thoughts you wish to share on the topic of advertising in esports? One constant across organizations, regardless of type/background, is the importance of patience. Part of the esports sales process is the education of what esports can do for a partner. We truly care about making sure that the partnerships we form are ones where we can continue them on for years to come. That means we must educate ourselves on the values that a company (like Corsair, for example) holds and then also educate non-endemic brands on what they should expect and what we can offer. This process doesn’t happen overnight, but if you devote yourself to the process, I believe esports organizations and brands can have a symbiotic and long-lasting relationship. In 2015, Turner Sports announced the creation of its own esports venture, ELEAGUE. Given the company’s vast experience in the realm of traditional sports, ELEAGUE has been working actively to attract all manner of sponsors, from Buffalo Wild Wings to liquor companies like Kraken Black Rum, a first for the industry. Behind the deal with Kraken was Seth Ladetsky, Turner Sports vice president of sales. Kraken Black Rum is, to my knowledge, the first spirit to ever sponsor a large-scale esports event, so I’m curious if this was a proactive approach from your end or did they express interest in working with ELEAGUE first? Ladetsky: Over the past 18 months, ELEAGUE has expanded IP with tournaments for Street Fighter V, Tekken, Rocket League, and more. In that time, we have also attracted a wide variety of new advertising and marketing partners across endemic and non-endemic categories. Many of the conversations we have with partners stem from Turner Sports having extensive relationships with them across our footprint of premium sports properties. ELEAGUE surfaced as a great way for Kraken to partner deeply with and create an integrated program to support their marketing goals for the brand. Esports has, traditionally, had a very young audience. What made Turner feel like it was time to introduce a distillery as a sponsor, given the fact that a sizeable portion of the audience isn’t allowed to drink legally? Esports is not as monolithic as it’s often perceived to be. We see a wide variety of audiences across the many platforms on which ELEAGUE exists—on TV, on digital, on social, and so on. Of course, ELEAGUE’s sweet spot is the millennial, 20- and 30-year old audience, which is a very coveted demo for marketers that is often not reachable through traditional advertising channels. Kraken is a great brand with smart marketing that connects with that audience. They pride themselves on being bold, so it was a natural fit to have them be our first partner in this new category for esports. In the past, esports leagues and organizations have tended to be reticent when it comes to associating with age-restricted products like alcohol. Is this an area of concern for ELEAGUE, or has the sponsorship been well-received within the industry? The expansion into new ad categories is a very strong indicator of the power of the ELEAGUE brand, and the audiences we attract. Overall, I think this partnership has been very well received within the industry as it shows growing investment from more companies. In terms of age-restricted products marketing within sports, I will say that more than 70 percent of the ELEAGUE audience is above the legal drinking age in the U.S. Turner has extensive experience working with these kinds of companies within our other sports programming—integrating them within our content through tasteful marketing programs that clearly support responsible and legal usage. We have brought that sensibility to the fast-growing esports space.